Looking good while doing good. 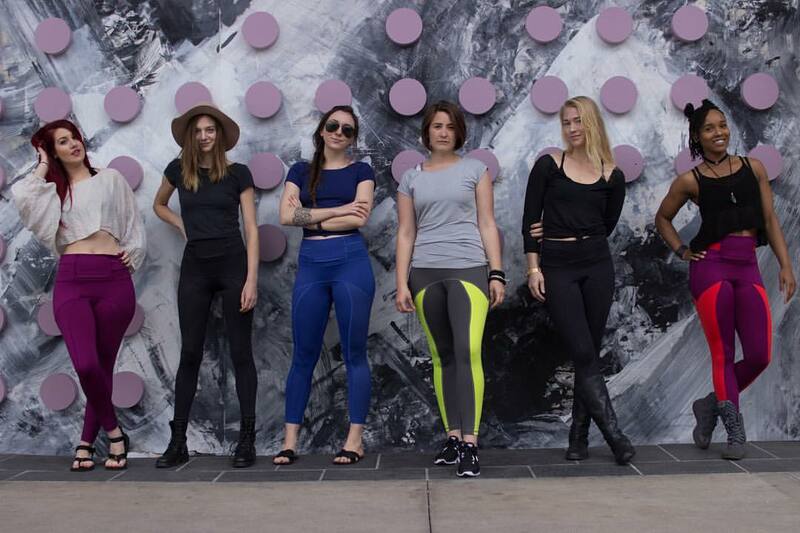 How a new active-wear company is helping women around the world. Juan Castellanos had graduated from Stanford University and spent two years with Deloitte’s global consulting practice when he realized his future was in women’s active-wear. And why not? Globally, women’s active-wear is a $100 billion-a-year business – $35 billion of which is in the U.S. alone. So in January, Castellanos, 25, and his Deloitte boss, Azad Rahman, quit management consulting to become the founders of Alana Athletica. With design-industry veteran and business partner, Cheynelle Mendis, overseeing design and production, the South Beach-based company started creating high-quality and durable active-wear manufactured in Rahman’s and Mendis’ native Sri Lanka. In addition to high-quality, Alana prides itself on offering a product that is at a price point most people can afford. Social Entrepreneurship, too, was central to their mission. They wanted their company to be about more than making money from the sale of active-wear- women who wore their cloths, they felt, would feel even better knowing they were helping other women. As such, they partnered with Emerge Global, which houses and supports girls and women who have been victims of sexual and physical abuse. It’s a pressing social issue in Sri Lanka, one which Mendis had supported previously. However, they knew they had to understand how viable businesses can also be socially responsible, in what was in fact a $100 billion-a-year industry. That’s when Castellanos discovered StartUP FIU’s Empower Accelerator Program. The Empower Accelerator Program not only helps university faculty, staff, and students, but also anyone from the community, to convert research and/or great ideas into scalable, viable businesses. StartUP FIU aims to infuse entrepreneurship throughout the university curriculum and encourage students and the wider community at large to embrace entrepreneurship. And where other incubators and accelerators would take a stake in his business in exchange for their services, StartUP FIU takes no such stake in Castellanos’ company. What his company needed most, what StartUP FIU is providing, is an appreciation for product marketing and competitive analysis, topics included in the Empower Accelerator 14-week program. The program also offered him instructors and coaches, interactive training and one-on-one guidance and mentorship to help Castellanos develop his customer value proposition, and business and financial models to help determine how much capital he needed to raise. Instructors even help participants become more engaging storytellers and confident speakers, which will come in handy for StartUP FIU’s Pitch Day, where Castellanos will introduce his company to a panel and audience of ready-to-invest funders. “Honing their pitch with social branding could help Alana Athletica separate themselves in a very crowded field,” says Bob Hacker, co-founder and director of StartUP FIU. The company has already raised $55,000 through a Kickstarter campaign, which went toward their first production run, as well as marketing, product development, and support programs in Sri Lanka. For Castellanos, himself the son of an entrepreneur, Alana Athletica promises not only a livelihood and an opportunity to have a social impact, but also the independence of business ownership. To learn more about Alana Athletica and other StartUP FIU companies, visit startup.fiu.edu.